I'm able to boot the computer into Single User mode, Safe Mode and Startup Manager. I could not boot into Recovery Mode. I was eventually able to make my Mac boot normally going into Safe Mode and running first aid on my boot volume in Disk Utility and then doing the same thing booting off a USB Recovery Partition. Upon booting normally and logging in, I received these two pop-ups: after opening Security & Privacy System Preferences I see this: After I clicked "Allow", another pop-up appeared (I forgot to capture it) prompting me to restart the computer to allow the extension, which I refused for fear of not being able to boot again. I tried to restart my computer again and the same thing as above happened. This machine has a hosed system installation. The problems inherent are now so numerous that a clean install will likely be the best and fastest approach to rectify the situation. /Library/LaunchDaemons/net.exirion.ssdfanctrl.plist and com.tunabellysoftware.TGFanHelper.plistare both fan controllers. They are in conflict by definition. - HoRNDIS.kext from an USB Tethering software that seems questionable - engine.kext is also present without need? MacAppBlocker.app is from 2015 and likely outdated as well. Are also indicative of cruft accumulated. The file /Library/.A_o_b_o_p_r_o/AbkPro.app may be related to malware but is evidently in any case from PUPA software. The high network traffic is also a warning sign. These are just those problems found by EtreCheck. MalwareBytes and similar programmes will likely yield even more now. Remove all the cruft from the last years by hand. Perhaps possible, and I would try that to learn something. But that will at least cost you time, and may not be successful. Make a backup, (make a bootable backup), wipe the drive, make a clean install of High Sierra. Do not use Migration Assistant. Install the software you need one by one. 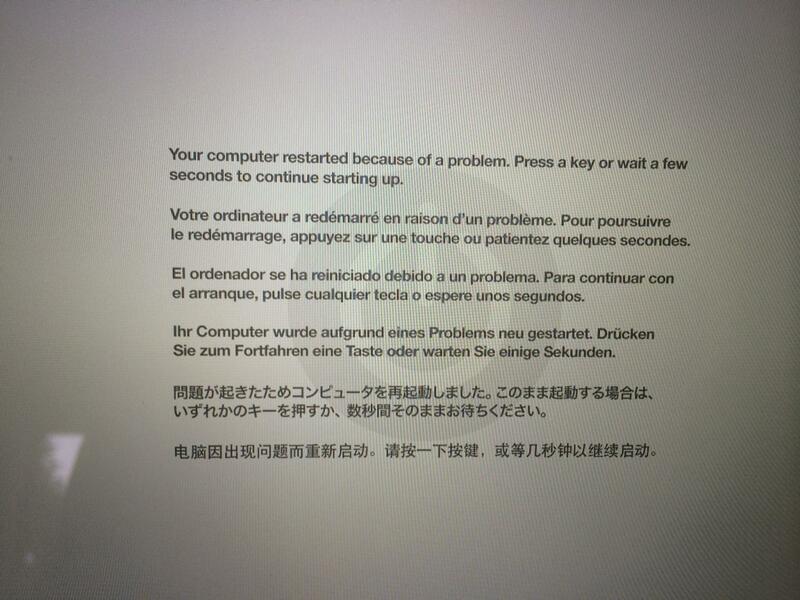 Macbook Air Panic on Boot, "Unable to find driver for this platform: \"MacBookAir7,2\"
Force OS X to use framebuffer?